Definition at line 144 of file knowledge.c. How to handle this item. Definition at line 146 of file knowledge.c. Referenced by knowledge_add(), knowledge_do_attempt(), knowledge_do_display(), knowledge_god_add(), knowledge_item_can_be_used_alchemy(), knowledge_known(), knowledge_process_incremental(), knowledge_read_player_data(), knowledge_show(), and knowledge_write_player_data(). Definition at line 145 of file knowledge.c. 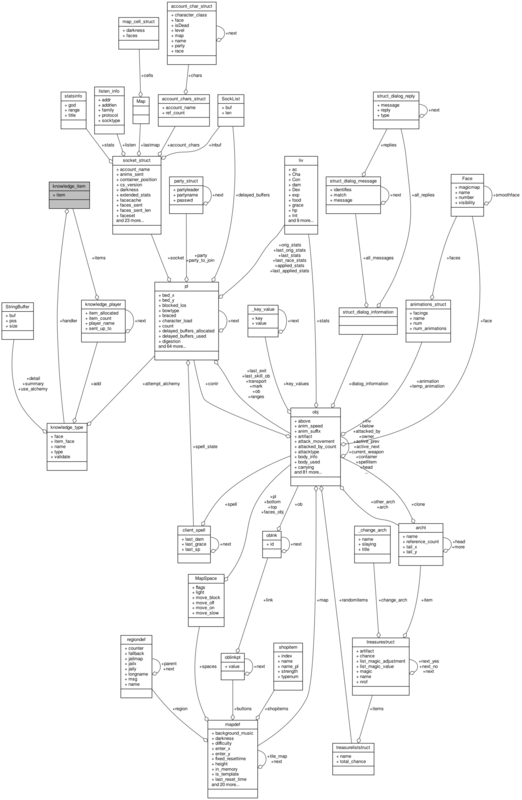 Referenced by free_knowledge_items(), knowledge_add(), knowledge_alchemy_attempt(), knowledge_do_display(), knowledge_god_add(), knowledge_item_can_be_used_alchemy(), knowledge_known(), knowledge_process_incremental(), knowledge_read_player_data(), knowledge_show(), and knowledge_write_player_data().